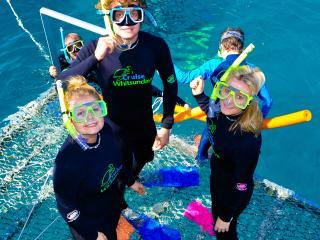 Cruise on board a large modern wave piercer to the pontoon at Hardy Reef while on the Great Barrier Reef Adventure with Cruise Whitsundays. 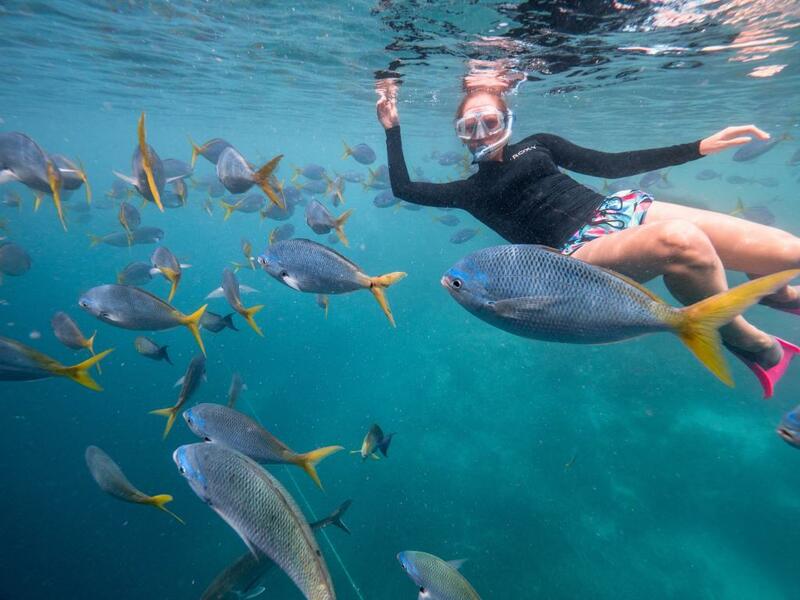 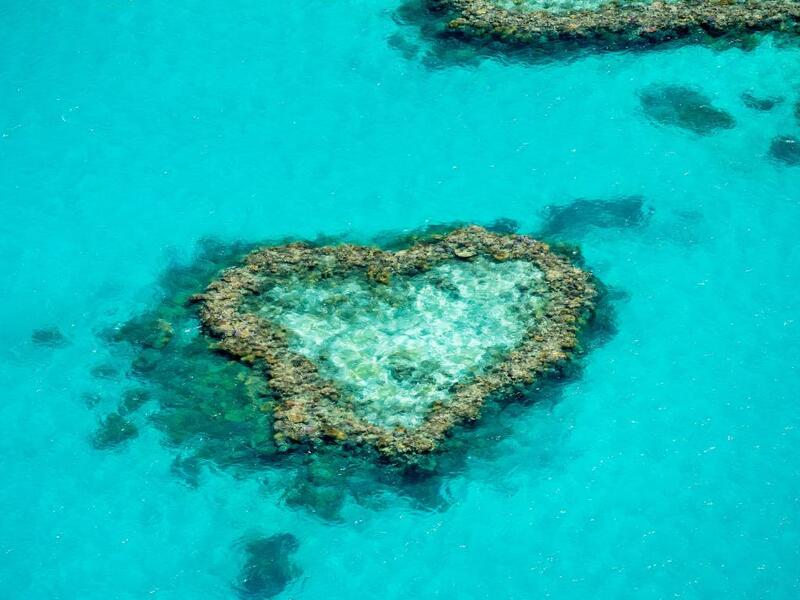 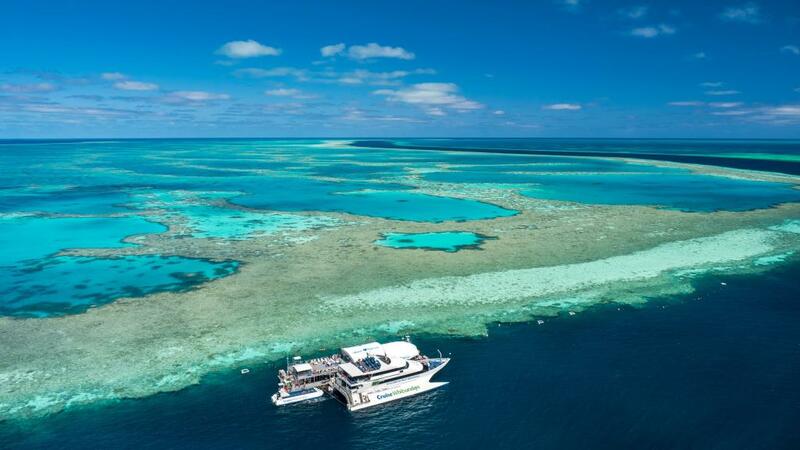 The pontoon is located in shallower waters inside Knuckle Reef Lagoon offering calmer conditions, and is home to hundreds of variations of fish and abundance of hard and soft corals. 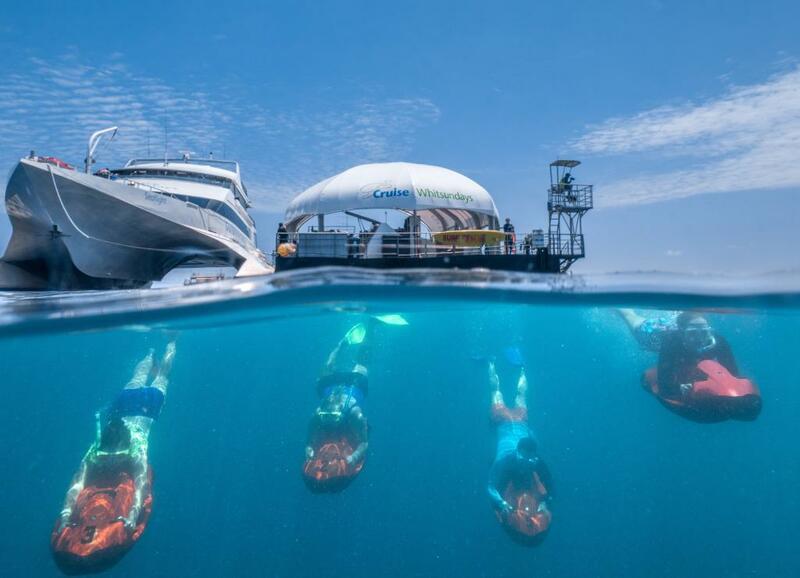 It provides a unique world for you to explore, be it by Subsea Adventure, glass bottom boat, snorkelling, diving or the underwater viewing chamber. 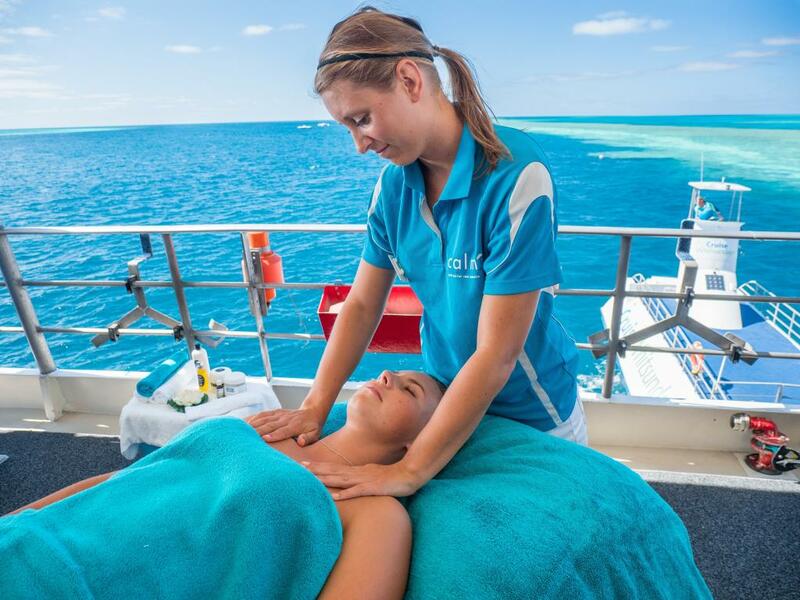 The pontoon is spacious with a choice of areas to relax and a great range of activities including an on board masseuse. 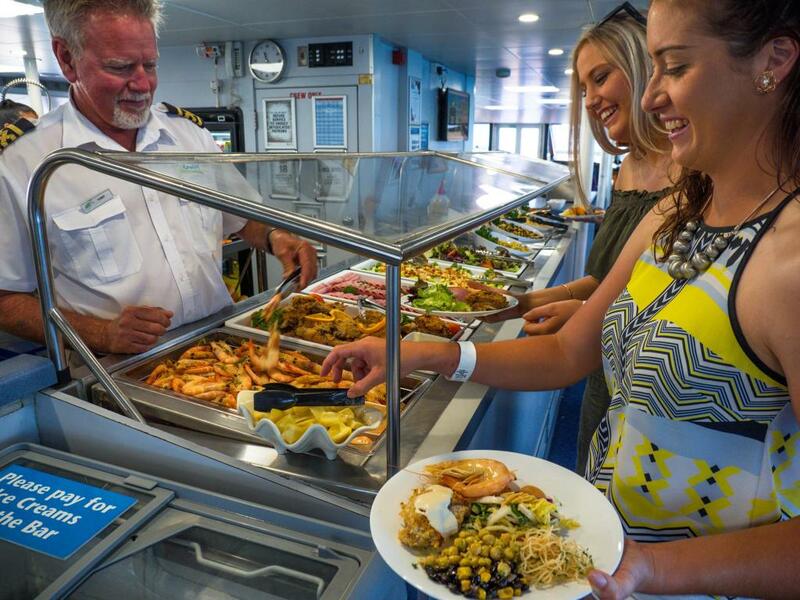 There is undercover seating and tables, sun decks, freshwater showers, change rooms and you have full access to the air conditioned comfort of the vessel alongside. 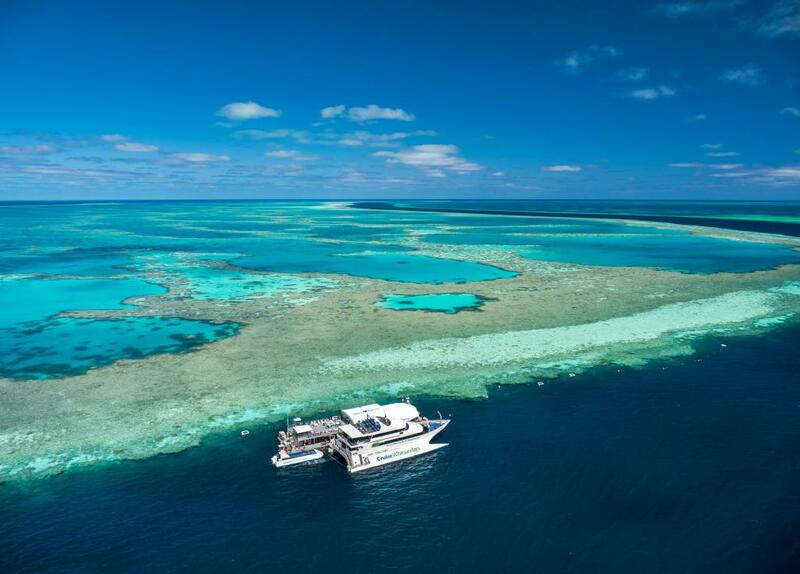 Half of the days fun is the journey to the reef on board the wavepiercer that is specifically designed for outer reef cruising with its superior sea handling. 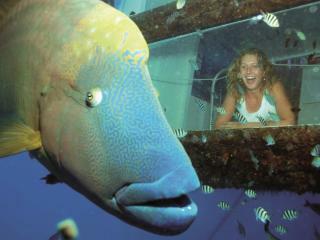 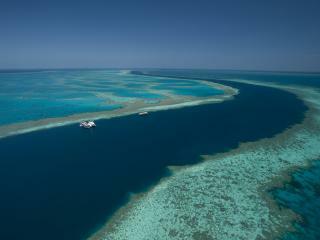 It is the largest and most comfortable vessel in the Whitsundays and the only one fitted with a motion control system. 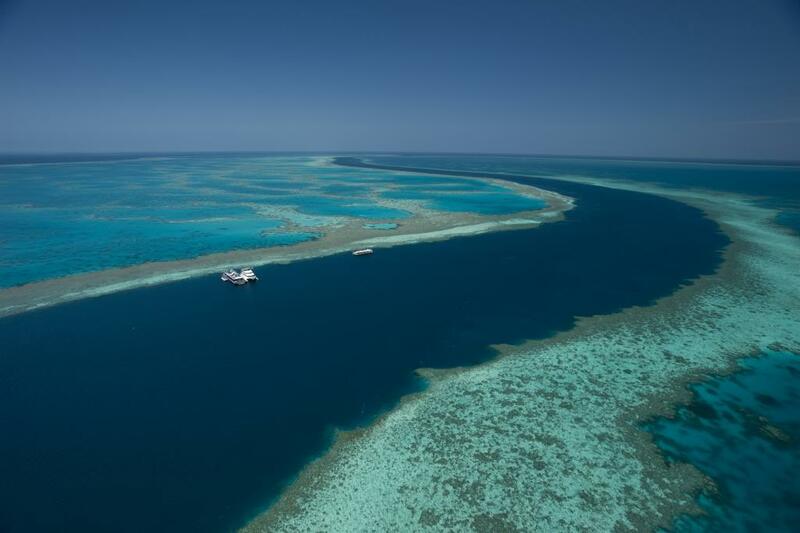 Inside is air-conditioned with plenty of comfortable seating, large outer viewing decks and two bars serving refreshments. 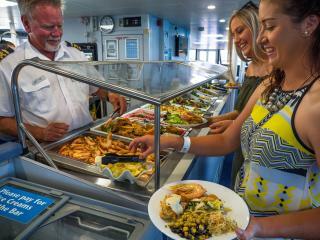 Throughout the day you will be served morning and afternoon tea and sumptuous buffet lunch by the on board chef. 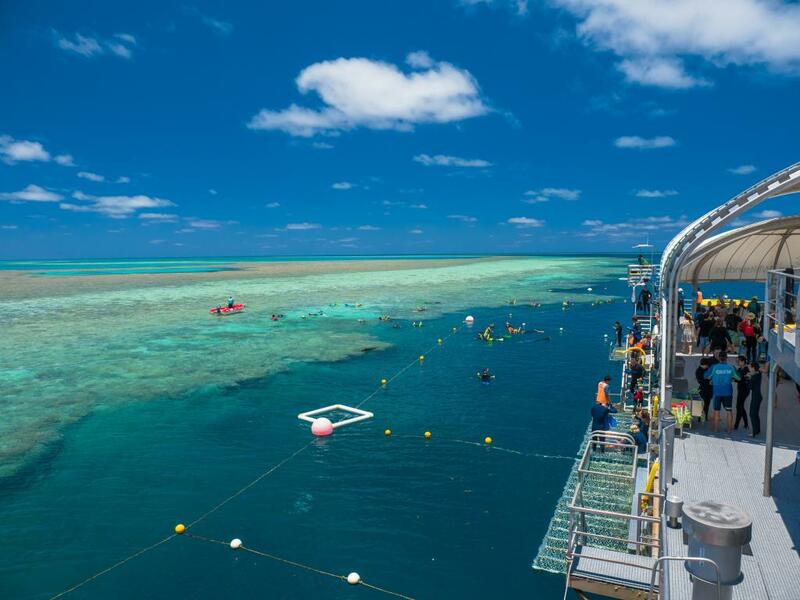 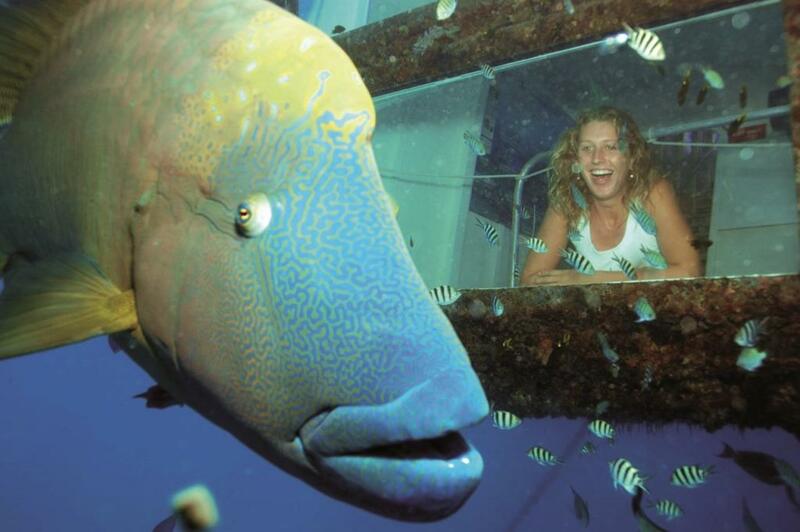 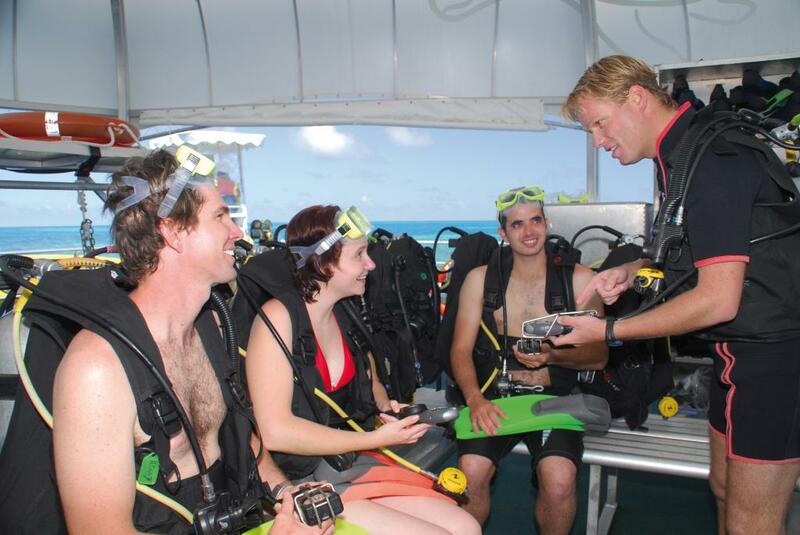 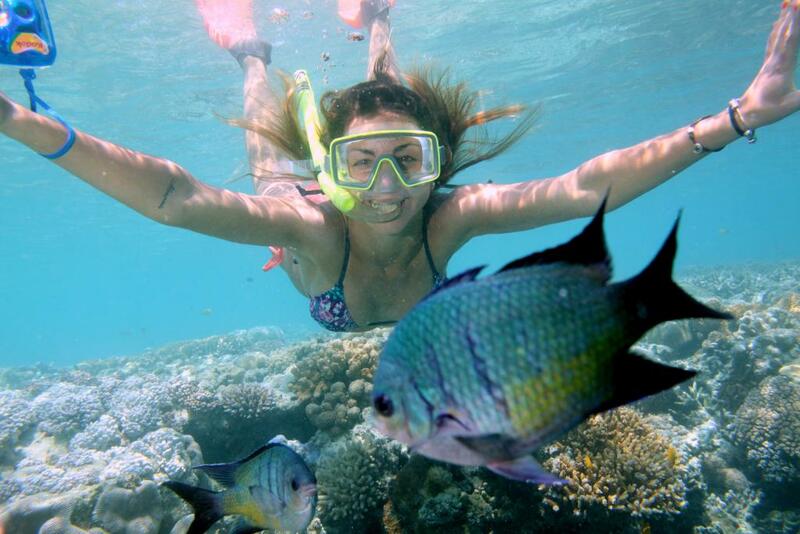 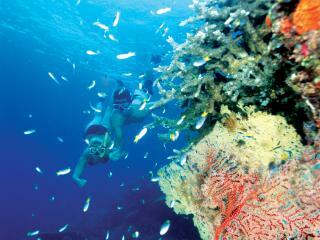 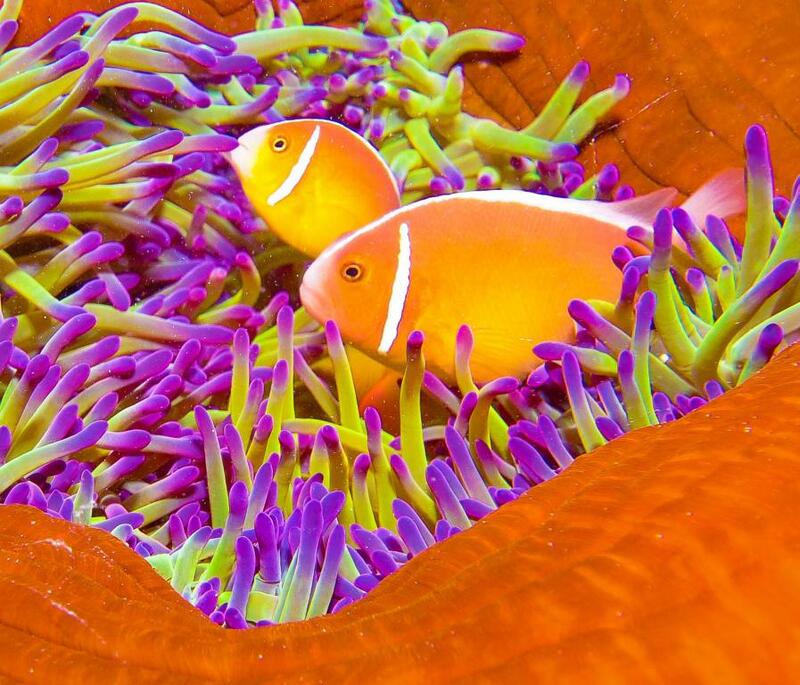 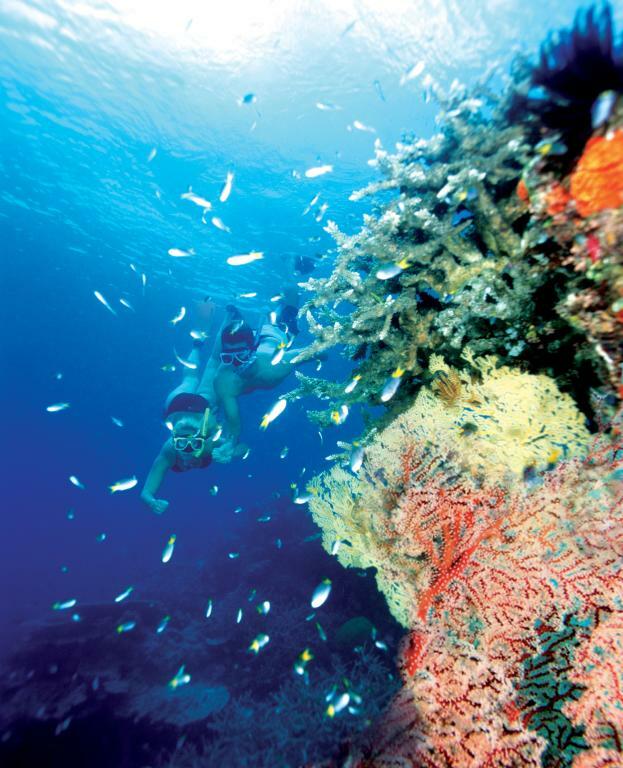 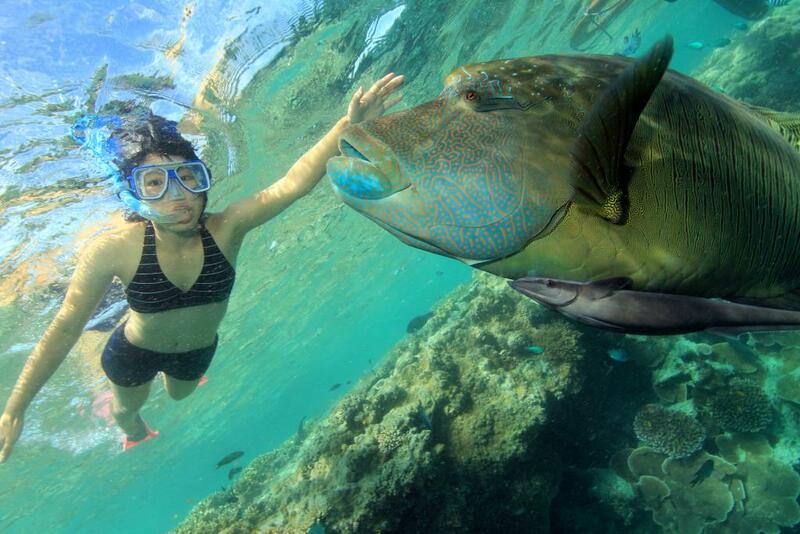 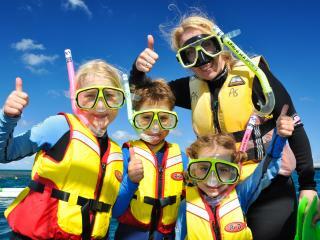 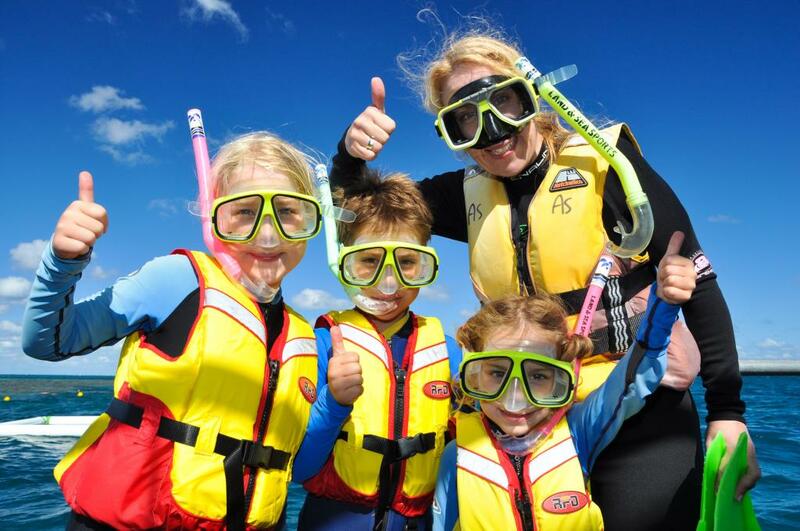 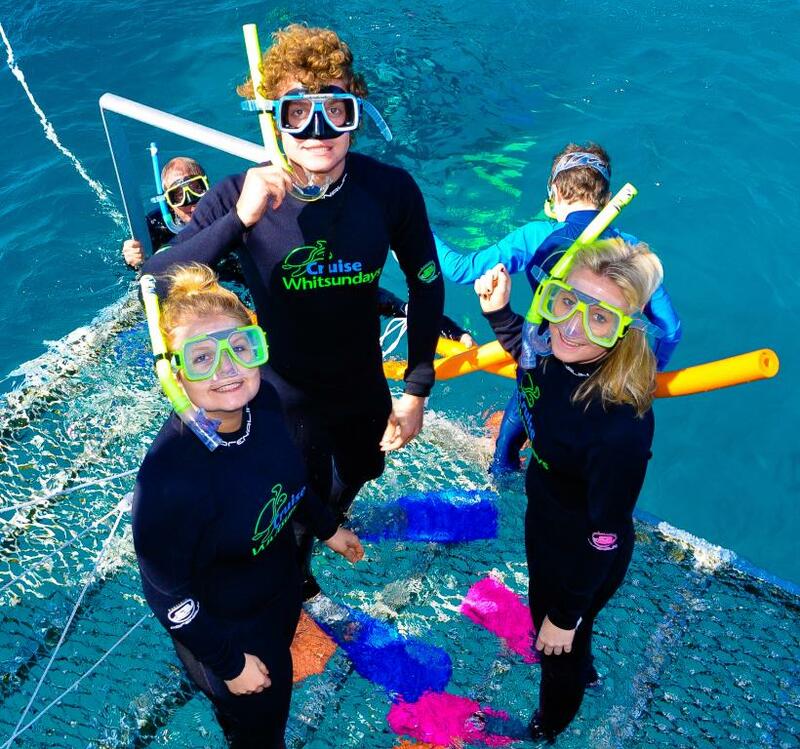 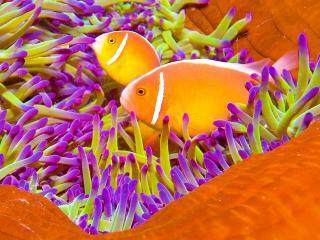 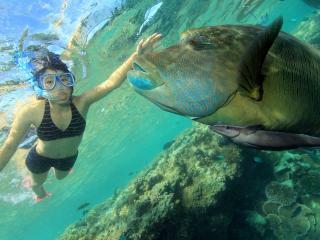 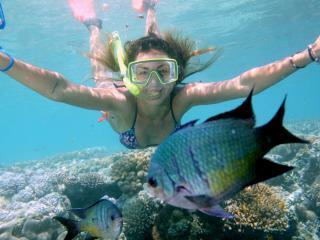 Seabob Jet Experience: Experience the thrill of Hardy Reef with a Seabob Jet Experience. 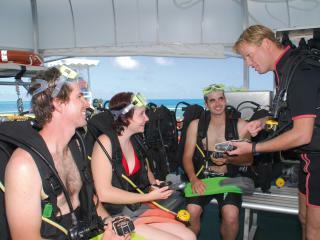 The Seabob is safe and easy to operate and allows you to explore both on the surface or underwater.